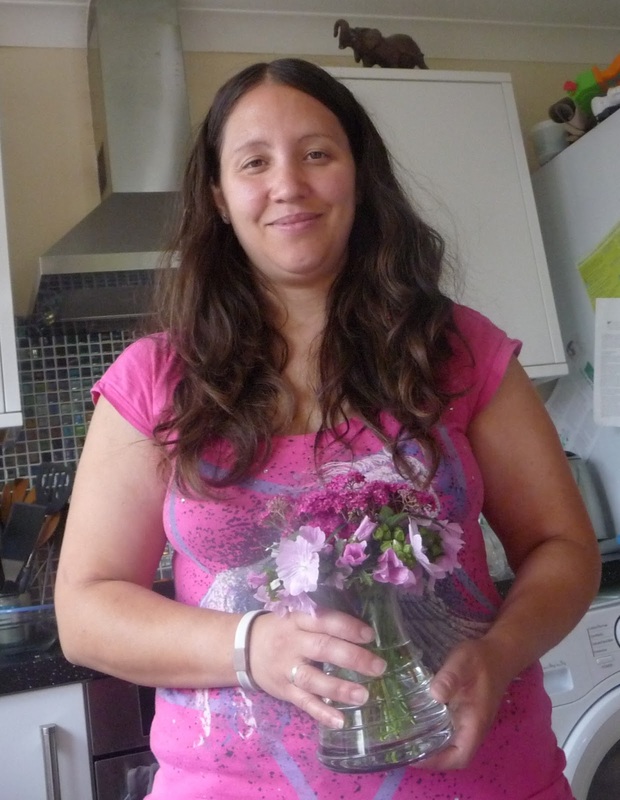 The ‘I Quit’ Blog Fiesta no.4 – weight loss photos and more! 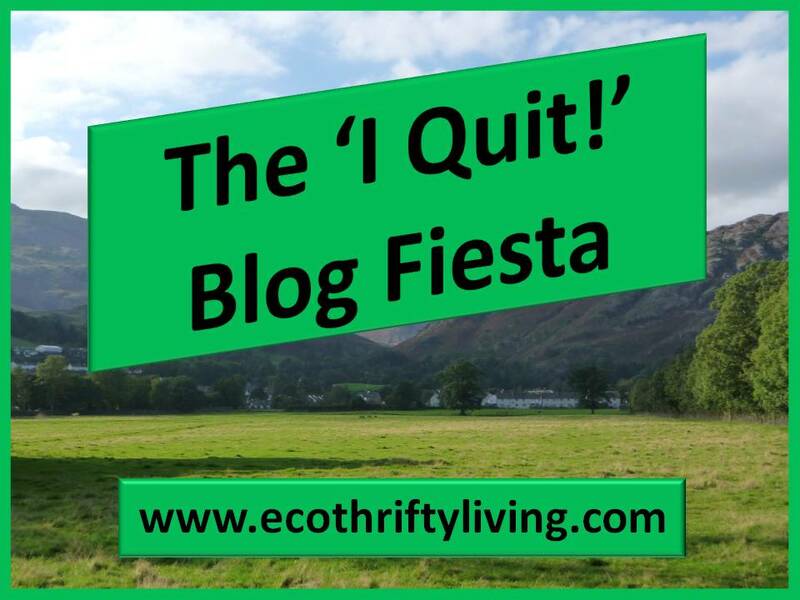 Welcome to the fourth edition of my I Quit Blog Fiesta! I’m still into quitting in a big way and have been thinking about a few things this month. Firstly an update on my life without sugar. In total I have lost 16lbs since I quit the sweet stuff, but recently I have plateaued. I have to admit I haven’t been 100% sugar free – occasionally I have had some savoury food containing it when out and about. I have steered clear of sweet foods though. I think that if I want to lose more weight I need to eat less carbohydrates. I have been eating wholegrains, but even then I think too many and I don’t lose any weight. 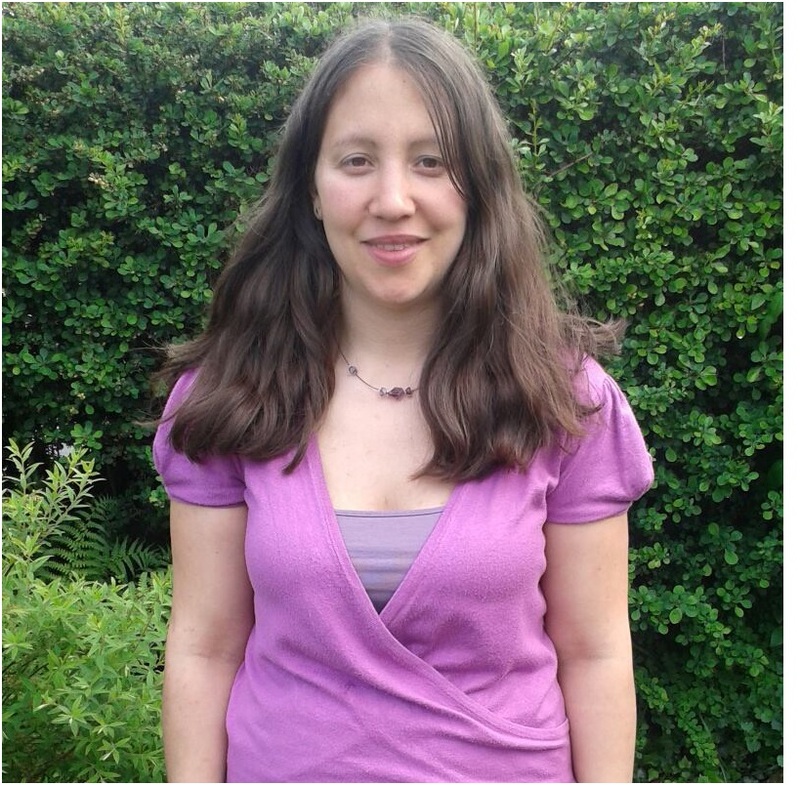 I’m not so excited about sharing this really unflattering photo on the left, which was taken of me last year before I even thought about giving up sugar. The one on the right was taken a few weeks ago though and looking at the two of them, I’m feeling pretty happy with how far I’ve come! 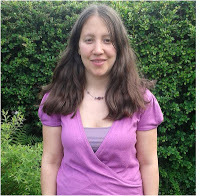 I’m not the only one who has given up sugar and My Years Without Sugar is well worth a read! After giving up on giving up shampoo I have to admit I have been enjoying having ‘normal’ hair soo much. It is something I would still like to try again though at some point for all the same reasons I wanted to quit originally. I think a lot of the problem in my area is the hard water and this blogger seems to have had success in a hard water area. Others seem to think that the no poo method actually damages your hair though, so I don’t know…. Any advice out there?? Since the last fiesta I have been doing a little more local shopping, buying milk, eggs and honey (which I only use very sparingly) from local producers, however it is too easy to slip back into old habits and I haven’t been consistent about buying local products – a project for the longer term for me I think! Anyway, I would really love to hear about what you have been quitting in time for the next Fiesta. See you again next time! 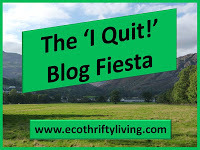 If quitting has saved you money, was kinder to the environment and / or improved your health and you have written a recent blog post about it, then please send me the link in an email to ecothriftyliving@gmail.com by 24th July to be included in the next fiesta which will go live on the 1st August 2013. Links don’t have to be recent, but will only be published once (i.e. please don’t send repeat links to future fiestas). I look forward to reading all your ‘I quit’ stories! If you liked this post I would really appreciate it if you click like on Facebook and follow on Twitter – thanks! 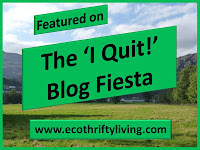 This entry was tagged eco, Food, Frugal, giving up, Green, Health and Beauty, I quit, I Quit Fiesta, local, no poo, Sugar, thrifty, weight loss. Bookmark the permalink. How I’m keeping warm for less this winter! Copyright © 2017 Eco Thrifty Living. All rights reserved.